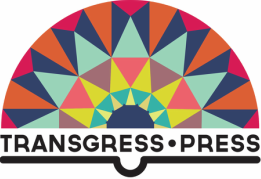 Transgress Press is pleased to announce the call for personal writings by transgender youth for a new anthology focusing on their unique experiences. Others have written about transgender youth, including professionals, but the voices of young people themselves are largely absent from these accounts. This collection fills that void by bringing together a diverse range of voices exploring issues faced by transgender youth that can only be told by them. We seek personal stories written by transgender youth between the ages of 10 and 17. All experiences are valuable and welcomed for submission. Parental permission is required for participation of youth under the age of 18. Story length: 800-1000 words. Here are a few ideas to consider while you’re writing but you’re free to write about what’s important for you. These topics are merely suggestive: relationships with siblings, peers and parents; issues at school; dating and relationships; living in foster care or state custody; parents’ divorce and family breakup. Also, consider writing about your joys and happiness, dreams and hopes for the future. Trystan Cotten is the founder and managing editor of Transgress Press, Associate professor of Gender Studies at CSU, Stanislaus. He travels extensively around the world speaking on trans identities and issues.